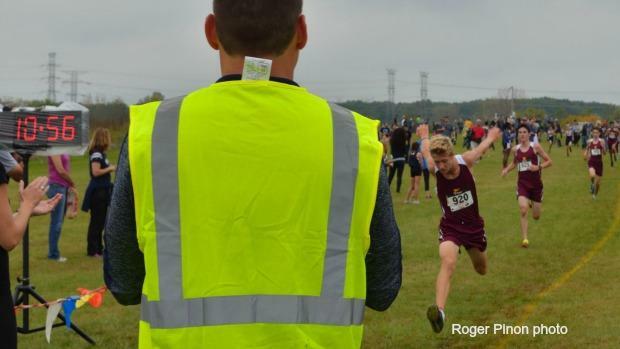 Although this will be the 25th running of the IESA State Championships, it will be the first time MileSplit Illinois will provide on-site coverage. Things will kick off with the 1A Girls followed by the boys. The young ladies of Palatine (St. Thomas) are the defending champions and they are favored to repeat. They won their sectional with ease scoring 44 points with three scorers in the first five led by winner Libbi Castelli. St. Thomas is a private school but several outstanding athletes have fed the Palatine High School program including current star sophomore Anne Marie Jordan. Defending champion now an 8th grader Maria Stedwell of Peoria (St. Jude) returns. After two straight runner-up finishes, it would be wise to join the Chicago (St. Ben's) bandwagon. Although they are in the smallest classification, the Bengals have been widely considered the best overall middle-school cross country team in Illinois. All five scorers have broken 11:00 at some point this season. Depending on the course conditions it could happen collectively. More importantly than individual accolades is the sense of team cohesion. Eighth graders William Archer, Jack Rhyner, and Matthew DeSantis lead the charge. They also have Hunter Whitney and Diego Morales to anchor the scoring. Defending champion Palatine St. Thomas is back to fight for another title. Tolono (Unity) has been the outstanding girls high school team at the 1A level so far this season. It appears a portion of that success has come from their middle school youngsters Unity who are the defending champions. The junior Rockets easily won their sectional scoring 20 points. The last two champions have come from Chicago Latin in names of Marianne Mihas and Ava Parekh. Both young ladies are now outstanding high schoolers at the same school. Two-time defending champion Chicago (Latin) Boys may appear to be in the driver's seat after 8th grader Akili Parekh demolished his sectional teammates and rivals with a chilling 10:15 clocking. The junior Romans have been running quite this fall and will look to continue their dominance. Last year's girls team winner Aurora Herget will not defend their title. However, look for schools feeding into already talent-rich Dunlap, Vernon Hills, Batavia, Yorkville, and Barrington to make some noise. Yorkville Middle School could walk away as the champs. As for the individual titlist, there will be a new champion as last year's winner Katrina Schlenker is a superstar in the making as a freshman at Batavia High School. Defending boys champion Aurora Herget graduated a ton of talent and will feature just one individual. Yorkville, Minooka, Barrington, Chatham-Glenwood, Dixon, and Batavia are solid high school programs. They will have feeding representatives vying for titles today. Last year's winner Spencer Werner competed for Lake Forest Deer Path Middle School. He is now running varsity for Loyola Academy with a good personal best of 15:58 in his young career.